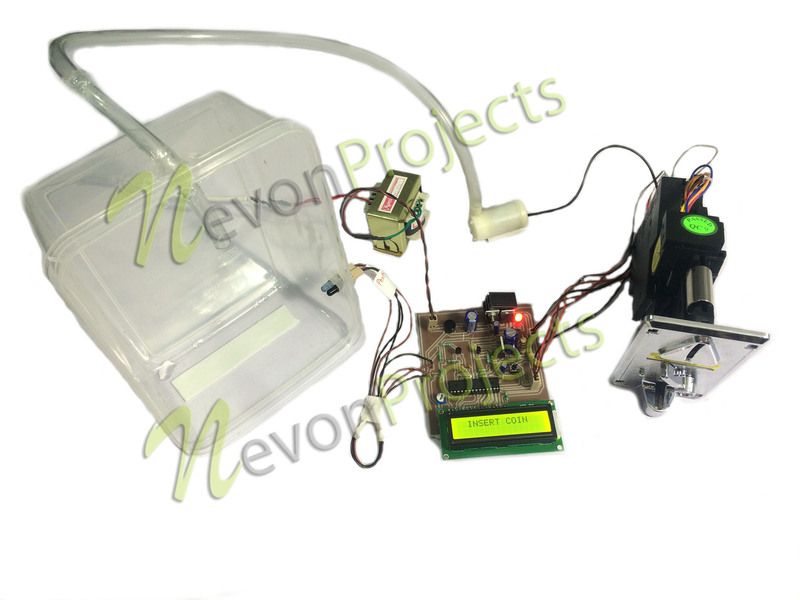 Here we put forward a fully automated coin based water dispenser system using microcontroller and sensor. The system is capable of fully automated water/cola dispensing using motors and sensors. The system also senses if glass is placed at the counter to avoid water spoilage if there is no glass placed at the counter panel. The system uses IR sensors to detect presence of glass and then the sensors send a signal to the microcontroller. The microcontroller now processes the information sent by the sensors to determine if glass is present. 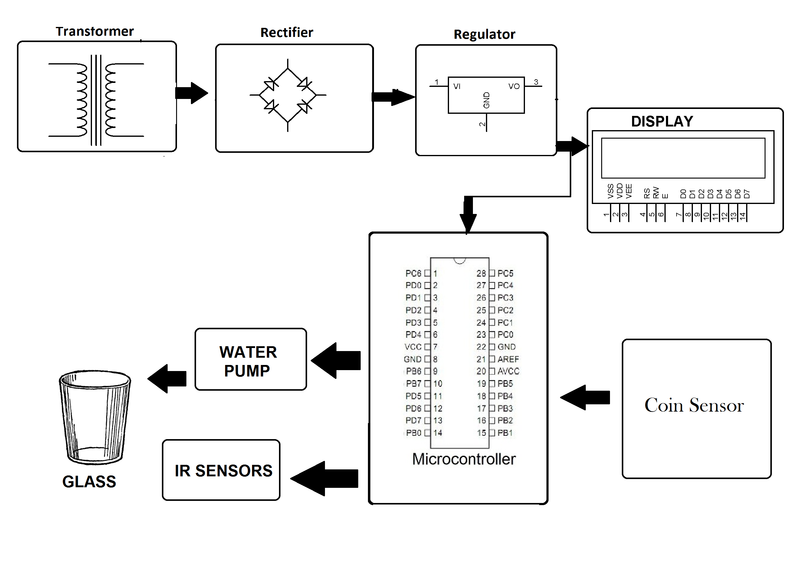 The system also has a coin detector that is used to sense particular coins and send information to microcontroller about valid coins. 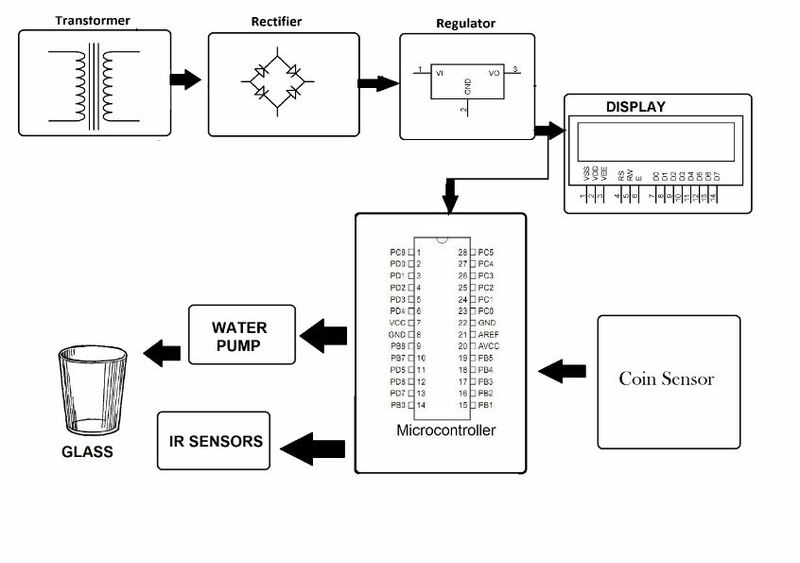 On detecting a valid coin the system now sends a signal to the controller who checks if glass is present and then it starts the motor to pour water in glass using motor as long the glass is present. If glass is removed during the process, system stops the water supply until glass is encountered. 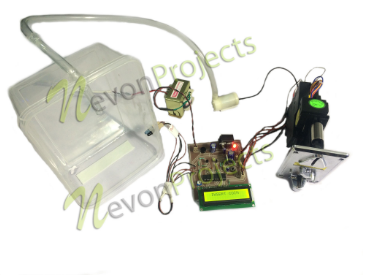 Thus we here put forward a smart water dispenser system with water saving feature.